Jaeger-LeCoultre continues its partnership with Casa Fagliano, the celebrated Argentinian bootmakers, introducing a Reverso Tribute Duoface limited edition of 100 pieces on a two-tone cordovan leather strap that will be showcased at the next Salon International de la Haute Horlogerie in Geneva (15-19 January 2018). Driven by the Duoface concept, the new watch comes in a 49.4 mm x 29.9 mm pink gold case and offers two contrasting dials – each displaying a different time zone. The slate grey sunray dial on the front features hand-applied hour markers that echo its Dauphine hands. 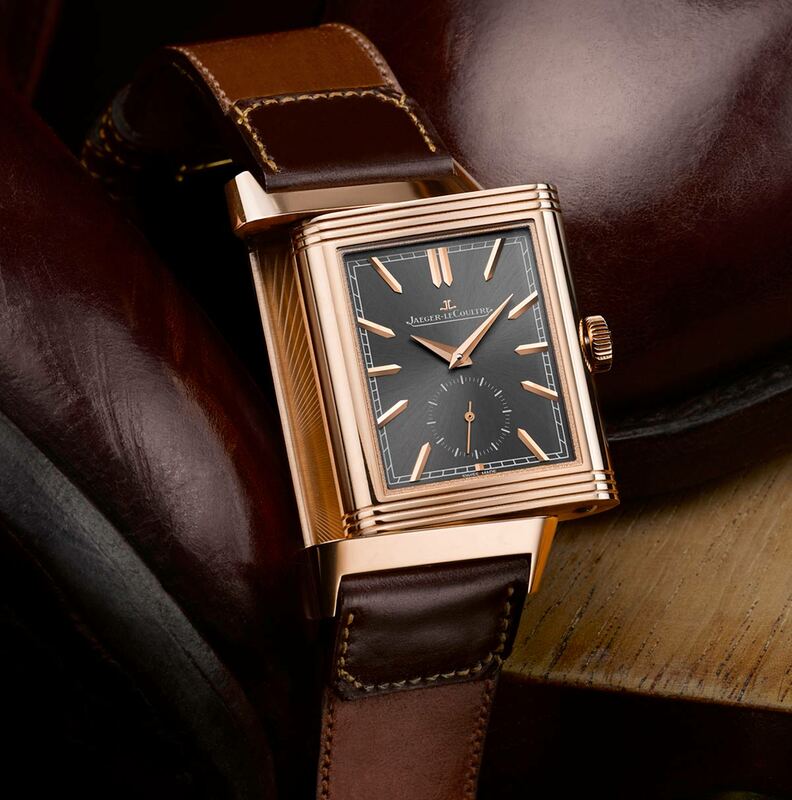 A small seconds in a round minute track brings a softening note to the geometrical linearity of this watch, whose Art Deco design reflects its 1931 inspiration. On the other side of the watch, the local time is displayed on a silvered dial that creates a nice play of light through the juxtaposition of two finishes – a Clous de Paris guilloché on the background, and an opaline finish in the centre. The day/night indicator gives added character. The warm tone of the case perfectly matches the Casa Fagliano two-tone cordovan leather strap. A family business running since 1892, Casa Fagliano works a soft and supple leather known for its great strength, following techniques handed down by long tradition. 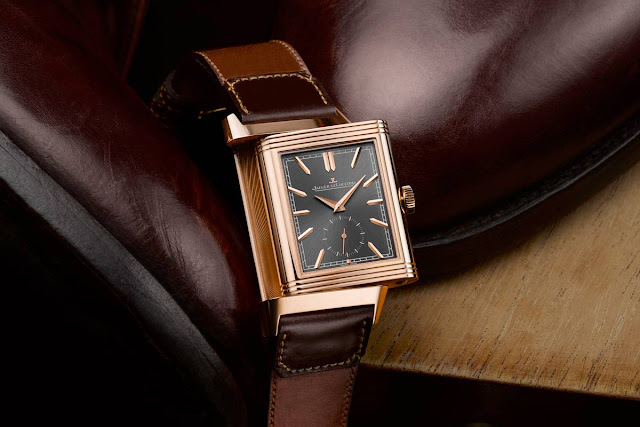 For the Reverso Tribute Duoface, the two-tone strap combines a light brown with a darker brown shade on the turned-over flap, and features a tone-on-tone overstitching on both sides of the dial's gadroons. Each strap is hand-crafted, with its own unique patina and finishes making it a one-off. 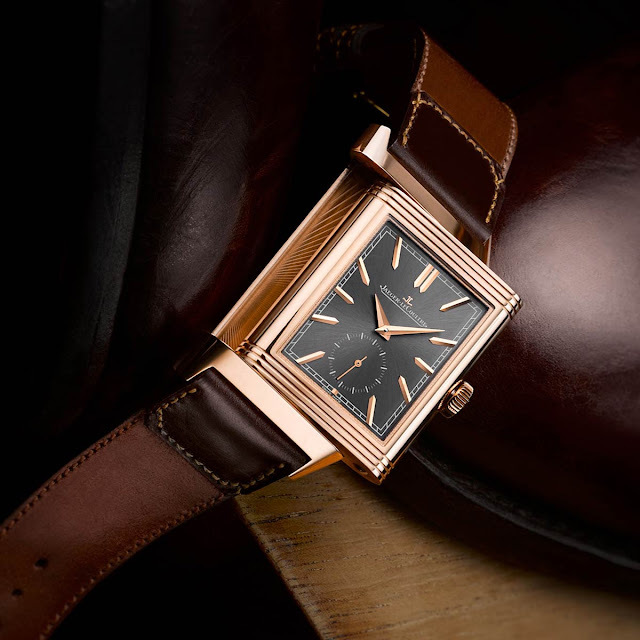 This model is driven by the hand-wound Jaeger-LeCoultre Calibre 854/2 beating at 21,600 vibrations per hour and offering 42 hours of power reserve. Pre-SIHH 2018: Jaeger-LeCoultre - Reverso Tribute Duoface Limited Edition. Jaeger-LeCoultre continues its partnership with Casa Fagliano, the celebrated Argentinian bootmakers, introducing a Reverso Tribute Duoface limited edition of 100 pieces on a two-tone cordovan leather strap that will be showcased at the next Salon International de la Haute Horlogerie in Geneva (15-19 January 2018). 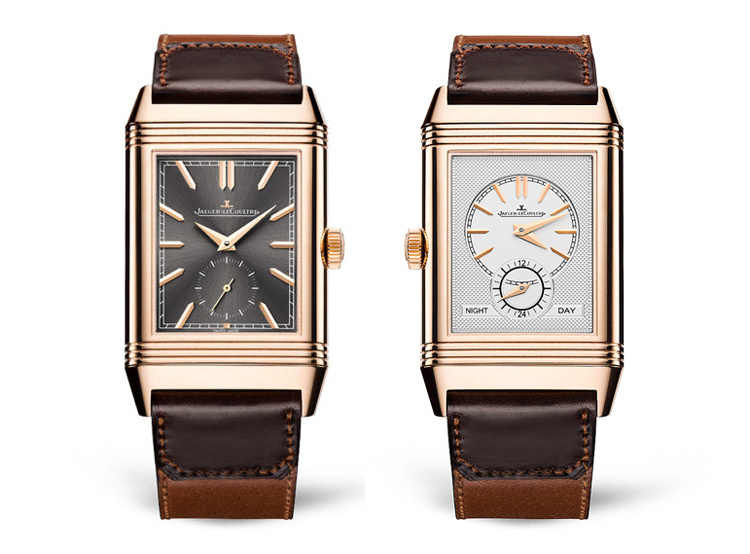 The new Reverso Tribute Duoface with two-tone leather strap (ref. 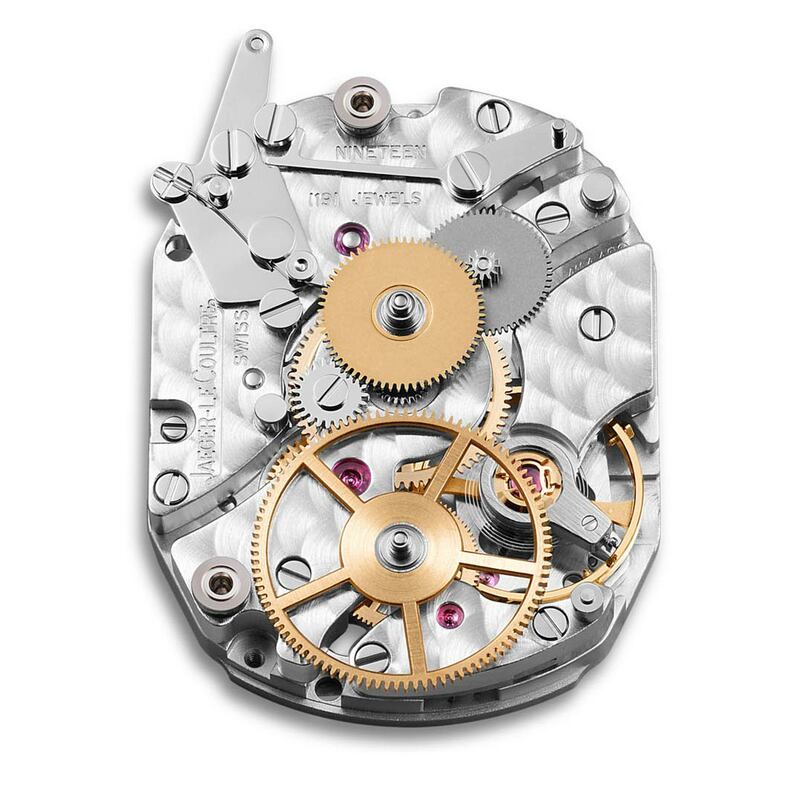 Q396245J) will be sold exclusively in Jaeger-LeCoultre Boutiques. The price will be announced at a later time.